A sound cabling infrastructure is must for offices and organisation. 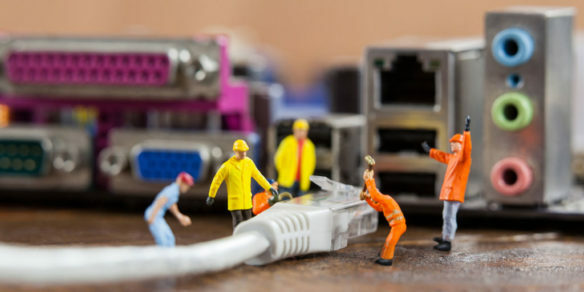 No matter how big or small the set up is flawless internet connectivity and a network connection between devices ensures smooth working environment. If you are setting up the office, then it is suggested to hire your network cabling contractor with great care. After all networking and cabling is an essential part of office infrastructure, if you don’t want networking to hamper your day to day activity then hire proficient network cabling contractor. Setting up a cabling infrastructure is a basic step and negligence in this can cause lasting trouble. Provide a successful communication system to the business with Midland cabling in London. Before hiring a network cabling contractor make a list of questions that you have to keep in mind while searching for the contractor. How long these arrangements are to last for? Is it for 5 years, 10 years or for more than that? This will help in deciding whether you want a basic cable solution or need solutions that would last for years and would accommodate the changing nature of the business with existing infrastructure. What are your future goals and plans for the office? Is it for limited use or you wish to build the system to add new users in the future? What is your expectation for guarantee and warranties? Many manufacturers offer 25 year warranties for performance and some contractors offer lifetime guarantees. Decide the place where you wish to place the hub and type of structured cabling you wish to follow. Once you have decided what you want to form the data cabling solution, then the next task to find the agency who could help you in a finding a right professional network cabling contractor. Data cabling is a complex and specialised job, hiring a random guy can only add expense and waste of time. It is suggested to choose the contractor who has the experience of working on multiple large projects. The data cabling engineering team could deliver the required service only when the client and service provider are on the same page. Discuss your company’s requirement and other details that could help the team in planning the flawless cabling infrastructure. Before starting the work make a list of components required for setting up the network cabling structure. Decide specifics like patch panels, data jacks and other cable types that you wish to use in the network structuring. The role of cable contractor is long lasting, it is suggested to do some research work in the market, ask some question to the contractor and choose wisely. You don’t have to rely on marketing and promotion for selecting the contractor, but you have to put a little effort to learn about their working and how they deliver the service. Consider test reports. The training program, support system and warranty claim, provided by the contractor. Choose your networking partner wisely as it is going to influence your for years. Here are few factors that could help in finding a right contractor for your business. This independent test report can work as a reliable source as they are compiled by the third party. The report could give a fair idea about the contractor. Instead of focusing on testing parameters get an idea about the contractor and how they provide service. Well the networking will work depends largely on the cabling installation on your premise. A professional network cabling contractor will provide training and certification training. Instead of opting for short-term 2-hours training program go for training that focuses on the entire channel. The training should include both the fiber and copper channel and should include cable structure designing, installation, termination, and testing. Make sure the network cabling contractor offers support services after network cabling installation. Choose the agency that offers value-added service and free support for a year after the installation. There are network cabling contractors who offer a variety of warranties on different products and services. Learn about the warranties offered by the contractor and seal the deal only after ensuring that the warranties provided by the contractor will cover all your warranty needs. At Midlands Cabling, our focus is to offer one of its kind service to it’s our clients. We offer a package that ensures that the client gets the best price for their organisation. 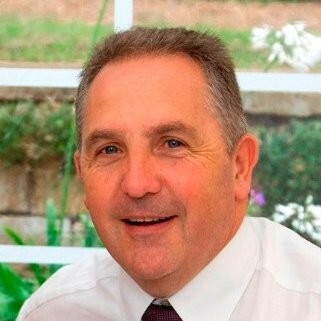 I am a proven technical & operations manager with over 35 years experience, gained from, working for a large charity, running my own business, working for a successful PLC and delivering a cutting edge solution for the Metropolitan Police Service.